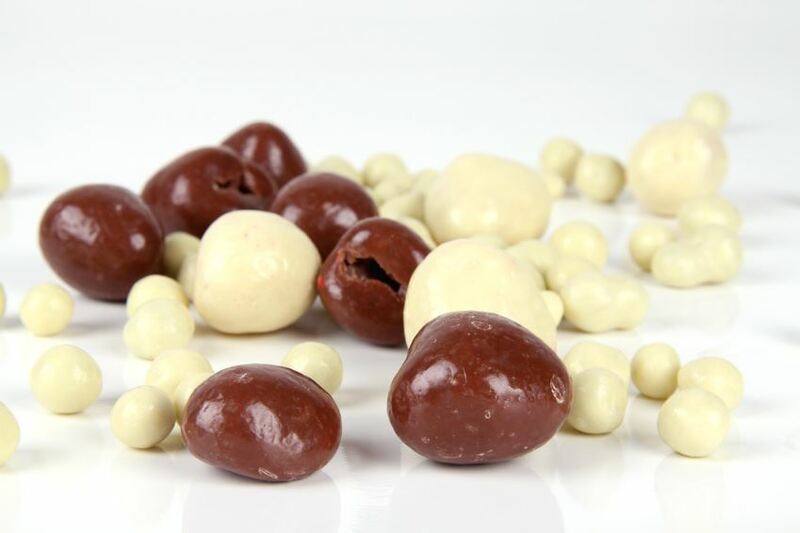 Chocolate-coated nuts or fruits by ZIELER & CO. are an irresistible treat. We offer finest dried fruits and nuts, coated with a thin layer of milk, dark or even yoghurt chocolate. And for an extraordinary taste experience we offer chocolate liquorice. Nuts coated with a very thin layer of milk, dark or yoghurt chocolate make the taste experience even more intense. They look like small colourful stones collected outside – but we can eat them! The sweet fantasy stones are perfect as table decoration or as a treat.